Microsoft Forms is an excellent tool you can use to create a wide variety of forms including quizzes, surveys, polls…etc. Microsoft Forms is part of Office 365 Education. The tool is simple and easy to use and offers tons of interesting features. You can create a form in few minutes and send it over to students to complete on their devices. As a teacher, you will be able to get instant and real-time feedback. You can also export data collected from students quizzes to Excel to help you with grading. 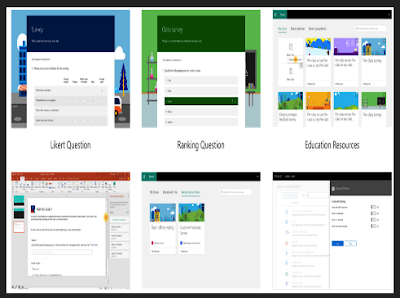 Microsoft Forms is available to Office 365 Education subscribers. You will need to sign in with your Office 365 school or work credential to start creating a form or quiz. If this is your first time using Microsoft Forms, check out this guide to help you learn more about how to create quizzes and forms.